I’m always on the lookout to meet new and interesting people, who have a unique perspective on teaching or learning technology. So when my friend Joel invited me out to breakfast with Dan Hayes at the 2013 WDS conference, I was happy to go just based on my awareness of Dan’s podcast, Simple Life Together. However, it was in our conversation– about the barriers to entry that most website owners face– that Dan started talking about his philosophy with SEO. Now, Dan will be the first to tell you that he is not an SEO expert. But as I later learned through a followup conversation, so many people do nothing to improve the SEO on their website, that just doing something will put you ahead. Unfortunately, search engines do not have the comprehension skills of people. Using the colloquialism, “go break a leg” makes sense to you and me, but to a search engine, it means “broken leg”, and may return pictures of broken legs, symptoms, etc. So, just as you may write a snappy headline for your article that will draw the attention and understanding of humans, there are things you can do to that same article to make sure that search engines understand. And now, let’s talk about SEO:At it’s core, SEO involves defining a special, alternate title and description for each page or blog post on your website. This alternate title is called the meta title, and the alternate description is called the meta description. These meta titles and descriptions are what google and other search engines will read about your page, and they are what will show up in search results when your website pages appear in them. There are some things that you can do to improve your website’s SEO without much work on your part. For starters, if your website runs WordPress, you are already somewhat ahead of the game. Even better if your website runs one of the “SEO Optimized” themes, but even this has become moot as plugins like the All In One SEO Pack give everyone the ability to make their theme SEO-friendly. However, there are even things you can do if your website is not built on WordPress. I frequently recommend Weebly as a platform for people who need to update their own websites frequently. Weebly also allows you to alter things on each page to make it more friendly for search engines. What these plugins and/or themes do is give you the ability to have more fields, to put in more information, for search engines to find more things. The title of this article is the perfect example. I’m calling it “So, what the heck is SEO anyway?”. However an SEO beginner would certainly not type that into Google if they were curious about SEO. That’s why I’ve set the meta title to be “Beginners Guide to SEO”. However, you can take that fantastic content and do a few things that will put you way above somebody else that has fantastic content but doesn’t do them. *Don’t over-use keywords. If you were having a conversation about skiing, you wouldn’t say skiing in every single sentence. Google does not like it when your content is too rich with keywords. Keep it natural sounding and you’ll be fine. This field gives you 60 characters that will show up as the title of your page in Google search results. The meta title should be literal- don’t use idioms, metaphors, or colloquialisms. If your article title is “Go Break a Leg”, your meta title should be “How to be the best actor you can be”. This field gives you 150 characters that will show up below the title of your page in search results. This is marketing- it is the thumbnail sketch of what your content is about in roughly the length of a tweet. When people search for content on Google, they are looking for articles, not pictures. So wouldn’t you want your pictures to give Google helpful information about the article, rather than what the picture is of? When most people upload an image to their website, it’s title is something like IMG3445.JPG. Unfortunately, search engines also see the filenames of your images when they index your page. Your image titles are another opportunity to add keyword-rich descriptions, so rename these files before you upload them. Additionally, WordPress give you the ability to give your images a title and description before putting them on the page. So, if your article is about “new beginnings” and you use a picture of a sunrise, make sure you rename the picture with a file name related to “new beginnings”. This probably won’t apply to you if you don’t use WordPress, but by default, WordPress url’s follow something like this format: yoursite.com/pID=0001 . You can see how this would be problematic from a keyword and SEO perspective. You should change your WordPress settings so that the URL of each page reflects the title. Here are instructions on how to do that. If you’re using Weebly, the URL should more closely match the page title by default. For the purposes of this article, Keywords are what people type into Google to find the thing that they’re looking for. Each keyword will bring up different results: For example, “ski vacation” and “skiing vacation” will both have different results in Google. In addition, one term is probably searched for more frequently than the other. You want to find that out, because you probably will want to use the one that is searched for the most. Google recently changed over from Keyword Tool to Keyword Planner. You have to be signed up for an Adwords account in order to use it. What this tool allows you to do, is compare the search engine differences between very granular changes in your keywords. Ultimately, the goal is to find the keywords that people are actually using to search, and then using those same keywords in your meta title, description and in the actual page content itself. What are the next steps that you're going to take to make your website more search engine friendly? I still don’t know much about SEO, but I do know it works and that you don’t need to be a technical ninja to make it work. My Google traffic has increased 112% in the past three months thanks to some strategic SEO on a few of my best website articles. But I didn’t make the changes alone. I had someone smart – in my case a paid marketing person – helping me identify great keywords and suggesting on-page optimization ideas. If any of this sounds complex… it’s really not. You just need someone to hold your hand at first (or a pocket Cloud Coach who knows of what he speaks). As far as the keyword research goes, the video I embedded from jasoneg3 will seriously inspire you to be able to do that kind of keyword research yourself. Still though, it’s appealing to be able to hire someone who knows better to suggest keywords that are obvious to them that may take you or me a while to find. Congrats on the big traffic boost! I did not know about keyword research being no more! I don’t really do any keyword research myself, but I bet that will annoy a lot of people. I’m glad you’re keeping me up to date on this stuff! Shanna Mann Yeah, it’s causing quite a bit of a stir. Luckily, you can still do analysis on your existing content using historical data, so it will be some time before you’re truly flying blind. This is terrific. I’m going to pass it to a bunch of my clients. Well explained Evan. I’m also going to look at integrating meta descriptions into my blog writing. Ouch. I don’t like that idea, but maybe it will help. I wonder it it would be good to go back and add them to old articles. David Delp Thanks! I definitely think it would be a stellar idea to go back through your old blog posts and give them meta titles and descriptions. Even if you don’t do keyword research for each article, it will definitely help people find your blog posts. 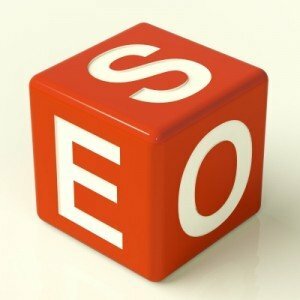 Something new blog about SEO beginner’s. I have not seen before this type of informative blog about SEO and You tell about Onpage activity that is meta keywords, description and many more. Yes for SEO content is king and always use unique and informative content.